Take a stand and lend a hand. Our Corcovado Foundation Teen Ambassador Program offers two exciting way for kids, teens, and young adults to play a vital role in the protection, preservation, and economic sustainability of Costa Rica’s precious but endangered Osa Peninsula. Travel with us as a group or help us fundraise from your own home! 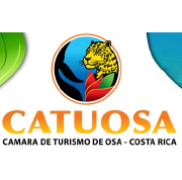 Become an ambassador for the rainforests in Costa Rica. Rainforests are an essential part of the global ecosystem and when they are lost, everyone loses. Supporting a non-profit organization, whether it is the Corcovado Foundation or any non-profit aiming to change the world can help you get into one of the best colleges. Just having a high GPA and ACT or SAT score won’t get you into an Ivy League school, however — most highly intelligent and qualified students get rejected. In order to get admitted, you’re going to need to show that you’re not just smart, but special, too. Contact us for program details and information that we can share with you, your parents, school, or your organization. Take a stand in the Osa. Organize a volunteer-learning experience. Work with you school, your volunteer organization, or your church to create a travel-work-learn experience in Costa Rica for you, your friends, and your classmates. Our teen volunteer programs combine learning from specialists regarding rainforest conservation with sustainability projects so you can put that knowledge to work in the field. Help repair a school, teach English to children in rural areas, relocate sea turtle nests, learn about the complex relationships in this endangered bioregion, work side-by-side with families and local volunteers to raise awareness, find solutions, and experience life on the rainforest frontier. Help change their world by stepping outside of yours. Volunteering is how you can give a voice to all the life forms on the Osa who need your commitment and support. Volunteering programs and fundraisers help the Corcovado Foundation protect and support life on the Osa and elsewhere in Costa Rica. Take a stand where you live. You’re already on social media with your own network of friends and family. Reach out to them for support of your commitment to raise money to help protect the rainforest and the kids of the Osa communities in Costa Rica. Work with your friends, talk to your parents and teachers about your interest in setting up a fundraiser. We’ll help you coordinate with Global Giving to channel your contributions to the Corcovado Foundation programs. Create a Kids’ Art Gallery. Have students or your children produce great works of art depicting favorite wild animals or scenes from nature and display them in an art show. Parents and friends can buy the artwork via a donation to the Corcovado Foundation. Sponsor “Make Change for Change” for the Corcovado Foundation. Start a spare change drive for students to collect coins found around the house, in the car, and in your pockets to support wildlife and conservation on the Osa. “Take a Stand” Set up a Take a Stand booth or table at school, the park, or in your neighborhood to host bake sale or sell refreshments and donate your proceeds to Corcovado Foundation to protect wildlife habitats in Costa Rica. Throw a “Decades Party” for you and your friends. Relive the 60s, 70s, 80s, or 90s with era-appropriate costumes and music! Ask for a door fee of $30 per person—but spend no more than $10 per person on the refreshments. You’ll have $20 per person or more to donate to the Corcovado Foundation. Having a party to celebrate a special day? Use the Corcovado Foundation page as your party invitation and email everyone the link. Celebrate your special achievement or graduation by celebrating nature—via a Corcovado Foundation fundraiser. Make your birthday special: Ask family and friends to donate your age in dollars to your Corcovado Foundation fundraiser. Support wildlife and nature for your bar/bat mitzvah project. Create a Corcovado Foundation page and ask your family and friends to support you. The Corcovado Foundation is a leading not-for-profit conservation and sustainability organization in Costa Rica, supporting community education and conservation programs across the country. 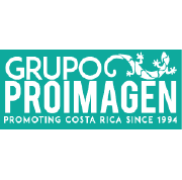 As hands-on advocates for conservation with operations office in Drake Bay, Osa Peninsula, Costa Rica, we are particularly focused on the Southern Pacific region. We work with the people, schools, community leaders, and government agencies to balance sustainable economic activity with the protection of the fragile natural resources in this precious part of the planet. The Osa is home to Corcovado National Park, a spectacular rainforest sanctuary, internationally renowned for its intense biodiversity. As one of the last remaining wild places in Costa Rica, residents of the Osa, human and non-human alike, are under relentless pressure from both legal and illegal encroachment on this fragile bioregion. Through education, the empowerment of local youth and women, and advocacy for balanced, sustainable development and intelligent management of the region’s resources, we strive to protect and preserve the Osa for all humanity.